By Danielle Stephens | October 1, 2013. 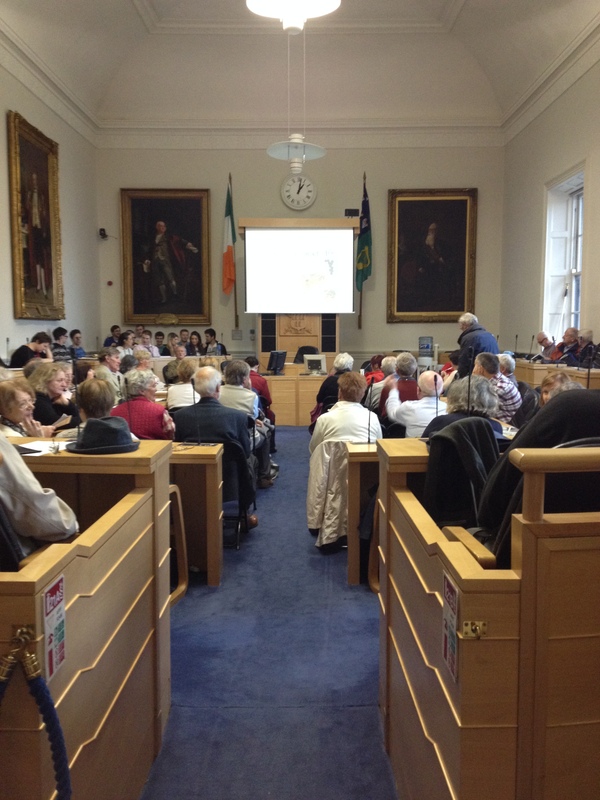 Dublin City Hall are running a series of lunch-time lectures during the month of October. Every Tuesday this month, speakers will talk on the overall theme of Dublin Anniversaries, covering big events linked to the area. The first lecture took place on October 1 and speaker, Dr Séamus O Maitiú, talked about the old Jacob’s Biscuit Factory and the 1913 Lock-Out. The author of W & R Jacob: Celebrating 150 Years of Irish Biscuit Making explained the history of the Jacob’s Factory, and how it affected the Liberties area. Back in the 19th century, when the factory opened at its Aungier Street location, the Liberties was suffering an industrial decline. People of the Dublin 8 area were crying out for jobs. As the factory grew in size, the owner, George Jacob, introduced workers welfare. This included the pension plans, a factory doctor and refresher room. However, Dr O Maitiú spoke about the protests and riots that ensued after some of the factory was closed in 1913. He explained that the factory’s owners were against their workers joining Jim Larkin’s trade union. He offered statistics on the repercussions for the biscuit factory. In 1910, the factory recorded a profit of £45,927. By 1913 they recorded profits of just £10,246. After the lecture there was time for questions and comments, where one audience member recalled how her mother-in-law was a worker in the Jacob’s Biscuit Factory. According to the woman speaking, promotion was often linked with your religion, depending on the time. The lecture ended with a man asking if Dr O Maitiú knew of a song linked with the workers in the Jacob’s Factory. He couldn’t remember the name of the song, but was able to recite a few of the lyrics. The doctor was unable to answer his query. The lectures are being organised by the Dublin City Archives and the schedule of the next four speakers are on the Dublin City Hall website.